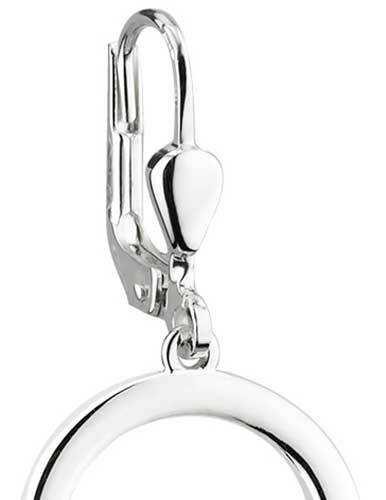 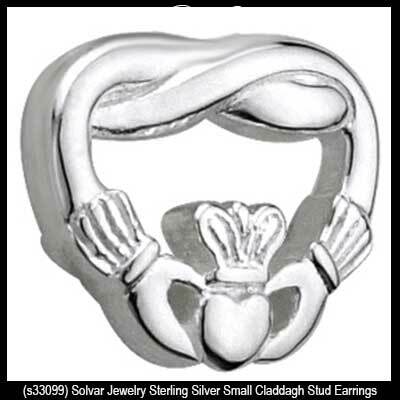 Sterling silver Claddagh earrings features a hoop design. 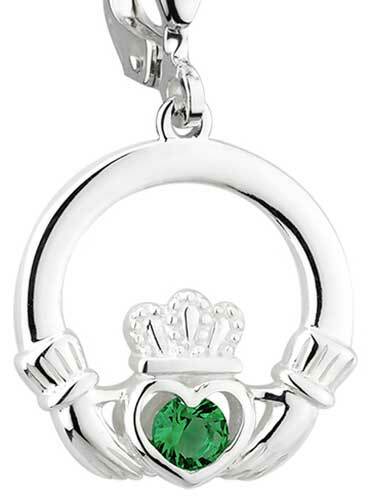 Sterling silver Claddagh earrings feature emerald green crystal hearts. 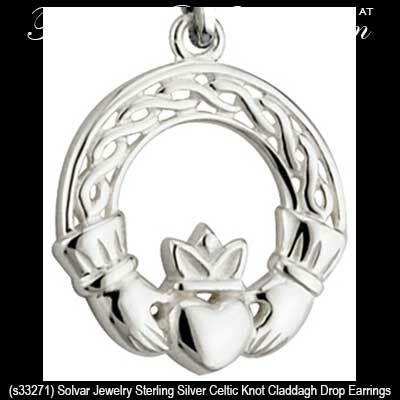 Drop Claddagh earrings are cast in sterling silver and are enhanced with a filigree design. 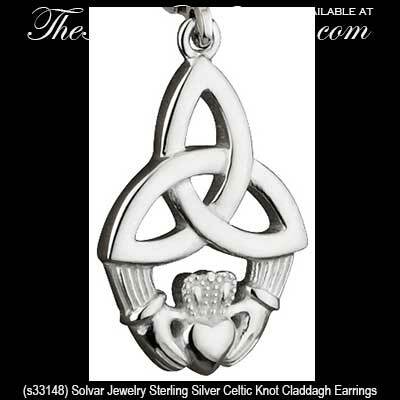 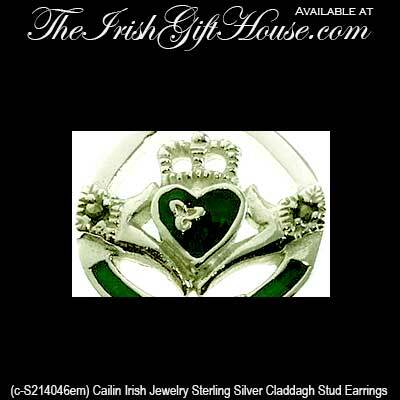 Sterling silver stud earrings are crafted in an X shape and are called the Claddagh kiss. 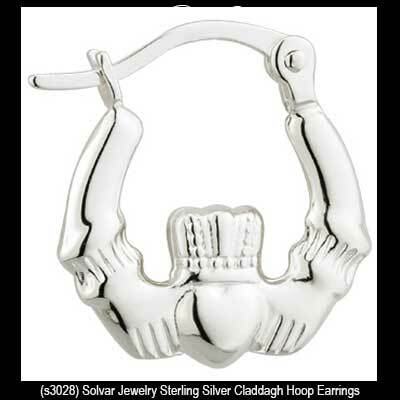 Claddagh hoop earrings are cast in sterling silver. 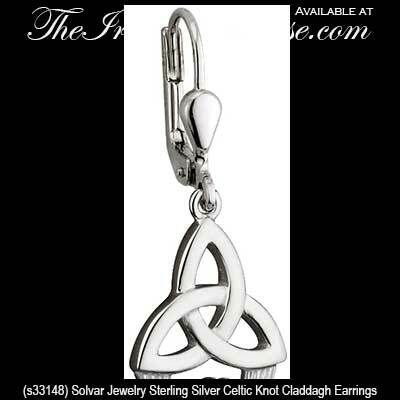 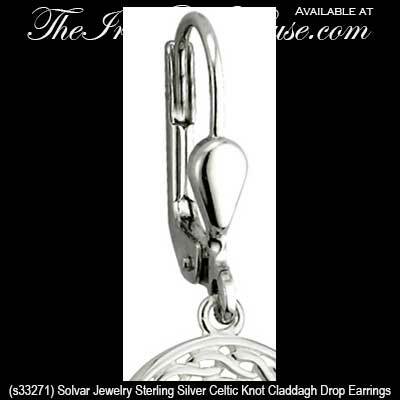 Claddagh earrings are a smaller traditional design that features sterling silver construction. 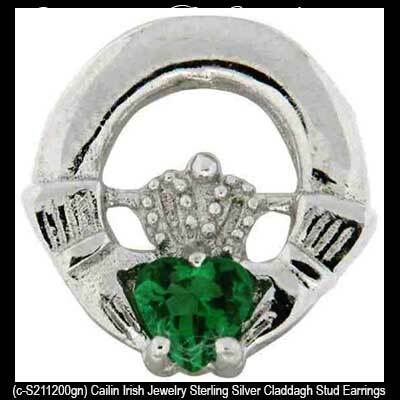 Small sterling silver stud earrings feature the iconic Claddagh design. 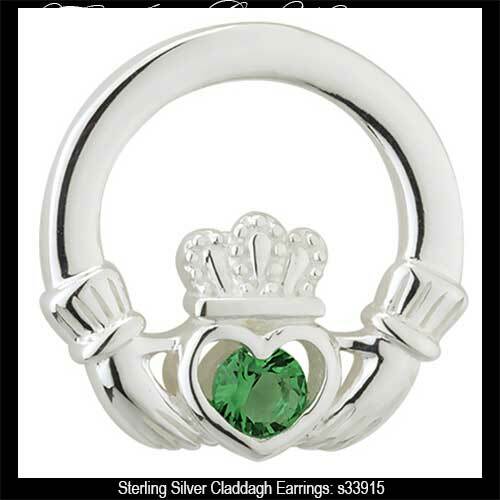 Tiny stud earrings feature the Claddagh in sterling silver. 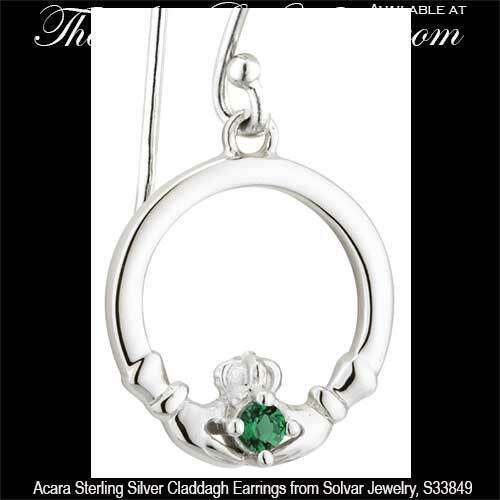 Delicate drop earrings feature the Claddagh in sterling silver along with green glass stones. 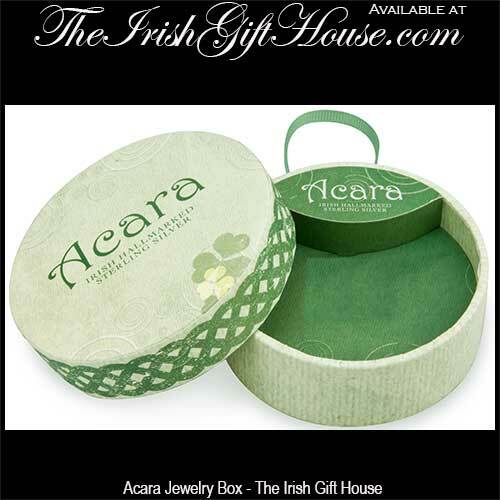 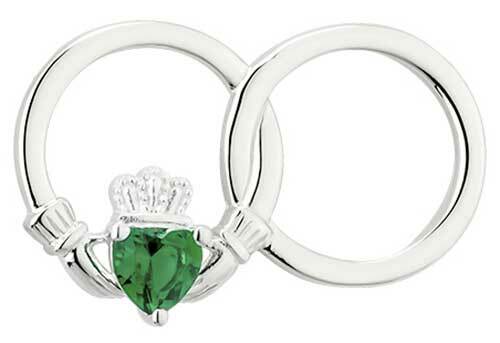 Tiny stud earrings feature the Claddagh in sterling silver along with green glass stone accented hearts. 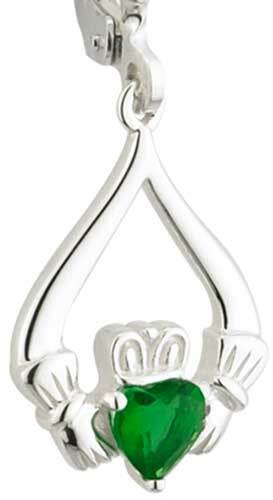 These sterling silver Claddagh earrings are a drop style that are enhanced with colored shell. 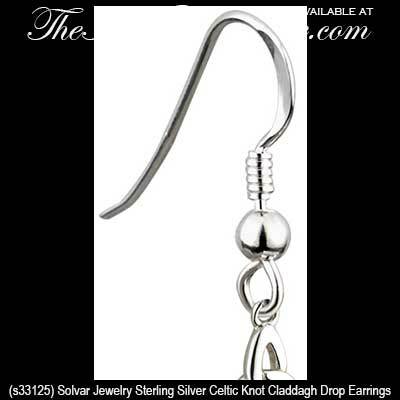 Sorry, these Claddagh earrings are now sold out. 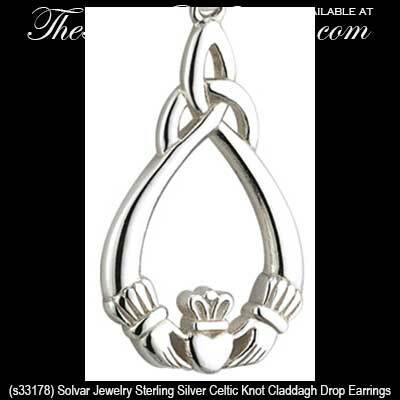 Add a silver Claddagh necklace to your earrings and start a complete collection of this beautiful and significant Irish jewelry. 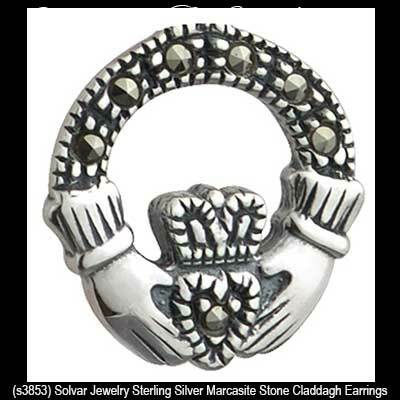 You may also wish to look at our silver Claddagh rings for women; we have dozens available and you are sure to find one that compliments any selections perfectly. 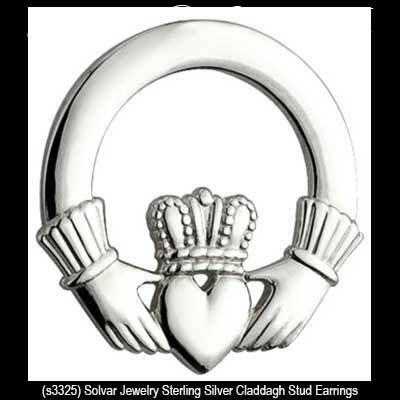 Men wear Claddagh rings too so you may want to take a look to find a style that matches the ladies ensemble and both men and women have various options within our Claddagh wedding rings section that includes matching bands for a loving couple.